1. King S, Chambers CT, Huquet A, et al: The epidemiology of chronic pain in children and adolescents revisited: A systematic review. Pain 2011;152(12):2729-2738. 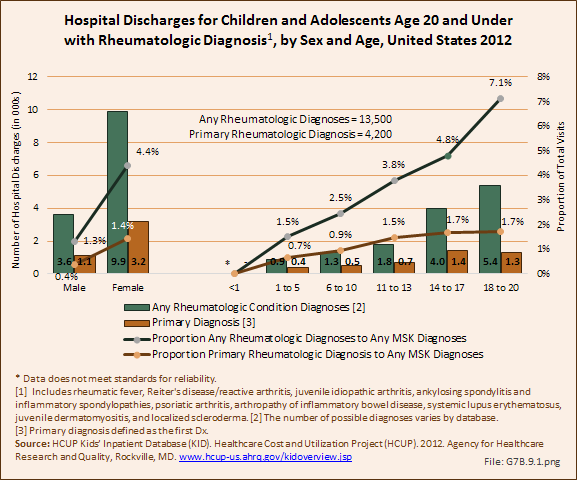 2. a. b. Cassidy JT, Petty RE, Laxer RM, Lindsley CB: Textbook of Pediatric Rheumatology, 6th ed. 2010. Elsevier Inc, Philadelphia, PA.
3. Childhood RND Educational Foundation, Inc.: Available at: StopChildhoodPain.org. Accessed February 19, 2015. 4. Hypermobile joints extend easily and painlessly beyond the normal range of motion. Hypermobility of the joints occurs when the tissues holding a joint together—mainly ligaments—are too loose. Often, weak muscles around the joint also contribute to hypermobility. The joints most commonly affected are the knees, shoulders, elbows, wrists, and fingers. Hypermobility is a common condition, especially in children, since their connective tissues are not completely developed.